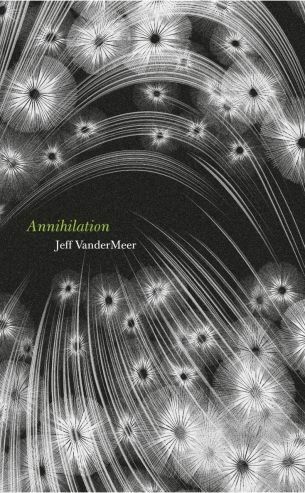 Annihilation by Jeff VanderMeer book review . Trust no one – not even yourself. That's reasonable advice to follow when exploring Area X – the setting of the first volume of Jeff VanderMeer's Southern Reach trilogy. There are immediate comparisons to be made with other “weird zone” tales, like Arkady and Boris Strugatsky's Roadside Picnic , but Annihilation is altogether more cryptic. Area X is unknowable terrain and, appropriately, we're seeing it through the eyes of a narrator (referred to only as the Biologist) who withholds information from the reader – and from herself. Amid the strange lights and messages found growing on walls, the biggest mystery is the Southern Reach: a clandestine organisation that routinely hypnotises and manipulates its employees. VanderMeer demonstrates expert care in what to keep back and what to reveal. Despite the simple plot, there's a new discovery or unnerving revelation every few pages. Immersive, insightful and often deeply bloody creepy, this is a startlingly good novel. If the sequels live up to it, then the Southern Reach series will be a major work.